I have known my husband for 19 years. I knew him when I was 18 ( so do the math on my age ) and he said: I want to live with you longer than you lived with your parents. Sweet, isn’t it? We are on our way to fulfilling this. Like any relationship, there are ups and downs, highs and lows, good and not-so-good. But overall we have a happy marriage relationship. I get asked this question: how do you keep that spark in your relationship? How do you make it work? While the following ideas may work for you, if a relationship is not a fit, it is not. Can Social Media Really Ruin Your Relationships? My husband and I are both go-getters and daring. If he says “let’s go on a 3,000 km road trip!” I say : “Okay, let’s go!” If I say “I want to quit my job to build a business,” he says “let’s do it. : That being said, here are some things that work in our relationship that may work for yours. Respect: We have tremendous respect for each other. While sometimes we have completely different ideas, we respect each other’s. We listen and try to come with a consensus. We don’t start yelling at each other: not in front of the kids, not in front of others, not even alone. I think that yelling and hurtful words (even as a joke) can have a damaging impact on a marriage relationship. Team work: my husband and I are partners. If he cannot do something, I will and vice-versa. I left him by himself with the kids during a whole weekend. I did not cook, no laundry, nothing. He did not say a word. He did it because he knows when it comes the time he needs that, I will handle all the tasks at home. It’s team work. When my husband works crazy hours, I don’t ask him to help me with house chores. After all, he is working for the sake of the family. But when he is not overloaded, he is teaming up with me and taking charge of house matters. Adult time: I cannot stress how important it is to have adult time: be it watching a movie when kids sleep or going for a date night. When kids were younger, we used to go for lunch dates. We sometimes managed to leave kids during one weekend for a romantic getaway. Our kids know that their parents need that time and they respect. They call it: Romantic time for parents. Let it go and forgive: Like any relationship, we had some downs. It was when our first child was born. Our relationship took a hit for few months. That’s normal. But we managed to get through it by discussing, and remembering why we are together. Remembering good times is great. Maintaining a great marriage relationship does take work at times. It’s worth it though. When you have that bond with someone who knows you so well that they can tell what you’re thinking even when you can’t, the good definitely overcomes the occasional downs. 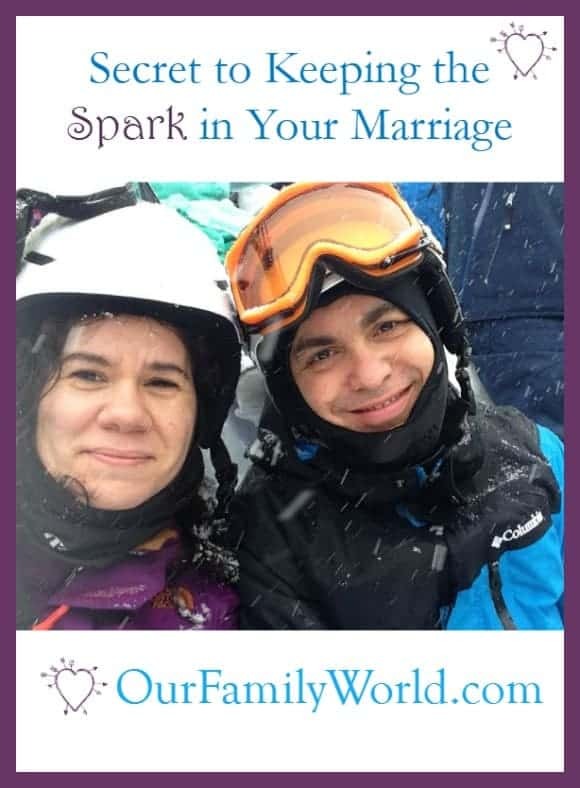 What do you do to keep the spark in your marriage relationship? Share your tips in the comments! These are great tips. My hubby and I have been together for almost 20 years. I think that trust is such a huge factor. Great article. Listening is another great trait. There’s so many frustrations when the other party isn’t listening. This is such a great post! I like the Let It Go and Forgive and Teamwork. Sometimes the reason why we can’t move on to the differences that we encounter as a couple is because we tend to go back and forth with past and present. If we see that husband and wives are not competitors but rather working as a team in EVERYTHING, fulfilling goals will not be a nuisance. You are spot on! All of those tips are so important, and not one more so than the other either. But I always emphasize Date night. So many of our friends and family keep skipping it and I am just shocked. It is my lifeline, and i look forward to it every week. Even when we don’t have money, we still have Date night on Fridays after the kids go to bed and we play games together and eat ice cream or popcorn or something fun. Good tips. When my son goes off to college in two years my husband and I will have a lot more together time alone! Is your family eco friendly?